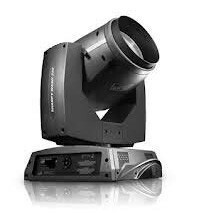 Richard Martin Lighting (RML) has announced the recent purchase of the Clay Paky Sharpy Wash 330 and they are immediately available for hire. Sharpy Wash 330 is an extraordinarily compact, lightweight 330W washlight, with the luminous efficiency, graphic and optical performance of a 1000W fixture. It is extremely silent and quick, and fitted with a complete CMY colour system, special colours, 6.5°-48° zoom, mechanical dimmer, beam shaping filter and motorized top-hat. It is an eco-friendly light, allowing considerable running and consumption cost savings. Due to the fact that RML have remained a moving light specialist for almost 30 years, they have continued to remain at the forefront of moving light technology and the purchase of this latest product for their already extensive inventory is no exception. Steve Wells, operations manager at RML said of the new investment: "he Sharpy has been such a successful purchase for RML, when we heard about the Sharpy Wash 330, we had to see it! The unit is extremely diverse and the multi-function aspect means that the lighting designer has so many more options when using them. The concept that you could have a whole rig of just one type of fixture, but are able to create a much more varied look, is potentially a very exciting one."